Theatre, owned by Habib Shamas. 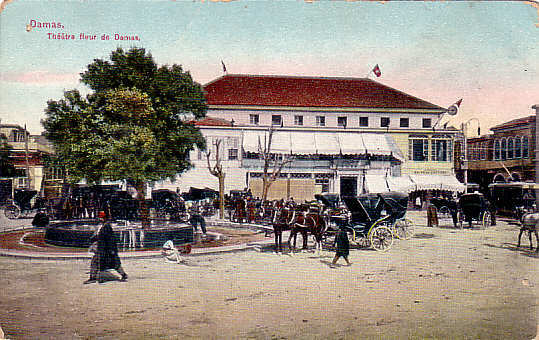 Site of the first movie showing in Damascus in 1912. 1918 converted to a cinema. Front Text: "Damas - Théâtre fleur de Damas"